Total Mineral Resources at the Project as at 30 September 2016 stood at 17.3 million tonnes averaging 2.25g/t gold containing for 1.25 million ounces of gold. All Resources are in compliance with JORC 2012. 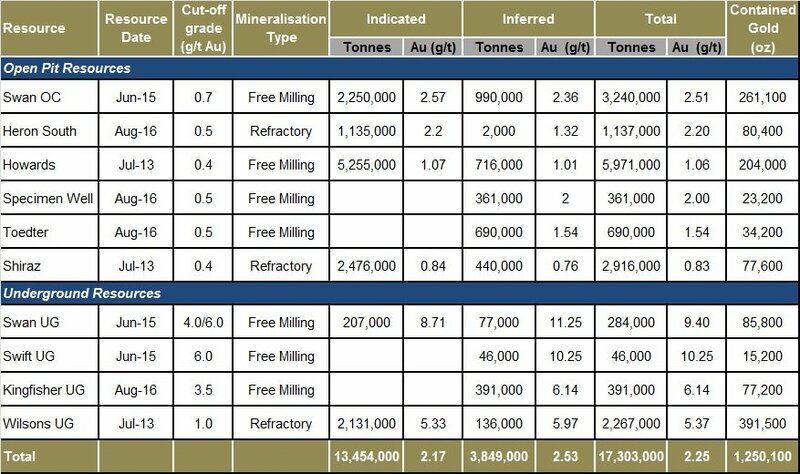 A breakdown of the Resources by deposit is shown in the table below. The information that relates to the Swan OC, Swan UG, Swift UG, and Kingfisher Mineral Resources is based on information compiled by or reviewed by Dr Spero Carras (FAusIMM). Dr Carras is the Executive Director of Carras Mining Pty Ltd and was acting as a consultant to Legend Mining Ltd in 2006 and Panoramic Resources Ltd between 2012 and 2016. Dr Carras has sufficient experience that is relevant to the style of mineralisation and type of deposit under consideration and to the activity which he is undertaking to qualify as a Competent Person as defined in the 2012 Edition of the Australian Code for Reporting of Exploration Results, Mineral Resources and Ore Reserves. Dr Carras consents to the inclusion of the matters based on his information in the form and context in which it appears. 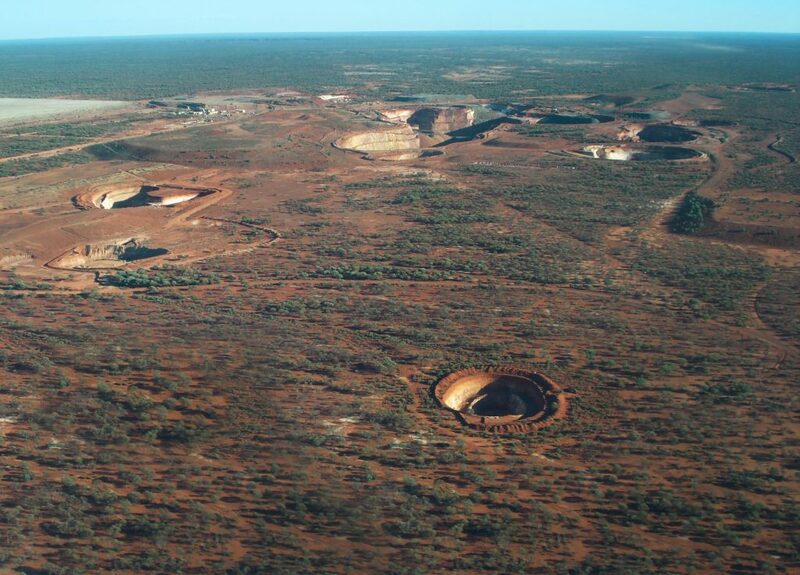 The information that relates to the Heron South, Howards, Specimen Well, Shiraz and Toedter Mineral Resources is based on information compiled by or reviewed by Andrew Bewsher (AIG). Mr Bewsher is a full time employee of BM Geological Services and has sufficient experience that is relevant to the style of mineralisation and type of deposit under consideration and to the activity which he is undertaking to qualify as a Competent Person as defined in the 2012 Edition of the Australian Code for Reporting of Exploration Results, Mineral Resources and Ore Reserves. Mr Bewsher consents to the inclusion of the matters based on his information in the form and context in which it appears. The information that relates to the Wilsons Mineral Resource is based on information compiled by or reviewed by Ben Pollard (AIG, AusIMM). Mr Pollard is a full time employee of BM Geological Services and has sufficient experience that is relevant to the style of mineralisation and type of deposit under consideration and to the activity which he is undertaking to qualify as a Competent Person as defined in the 2012 Edition of the Australian Code for Reporting of Exploration Results, Mineral Resources and Ore Reserves. Mr Pollard consents to the inclusion of the matters based on his information in the form and context in which it appears. Please refer to Panoramic Resources Limited (ASX:PAN) ASX Announcement dated 14 October 2016 for further details.